Looking for something to do while in Rochester, but don't know where to even begin? We can help with that! 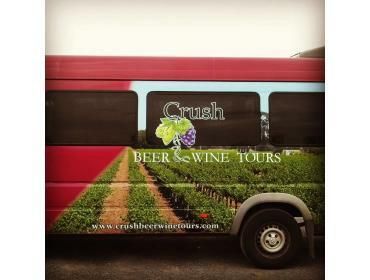 At Crush Beer Wine Tours we offer pre-planned, all inclusive beer and wine tours of Rochester and the Finger Lakes Region. This makes your experience effortless, and you will take away a greater sense of knowledge from each stop. Come have a taste of the good life with us! Use offer code VisitRoc10 to redeem 10% off your group tour when you come for a visit here.